German Chancellor Angela Merkel said Friday that she would discuss new anti-Russia measures with France before taking any actions. UK Prime Minister Theresa May has provided the EU leaders with certain evidence of Russia's involvement in the attempted murder of ex-spy Sergei Skripal and his daughter in the UK, German Chancellor Angela Merkel said. "Theresa May presented us with certain evidence," Merkel said, responding to a journalist's question about the evidence the British prime minister had shared with EU leaders, which would point to "the Russian trail" in this case. French President Emmanuel Macron was more specific about the matter when he addressed the issue at a news conference in Paris upon his return from the EU summit in Brussels on Friday. "The United Kingdom yesterday shared with all [EU] member states the elements of evidence… France was asked for technical cooperation, and answered positively. We reached the same conclusions as our British partners. These conclusion allow us to clearly establish that the substance which was used [to poison Skripal]… originated in Russia," Macron said. READ MORE: Is UK Secretly Buying Russian Eurobonds Amid Skripal Case? The French president further said that France and Germany would soon take coordinated decisions in light of a nerve agent attack on ex-spy Sergei Skripal in the UK. "This requires a coordinated and resolute response from the EU and its members. 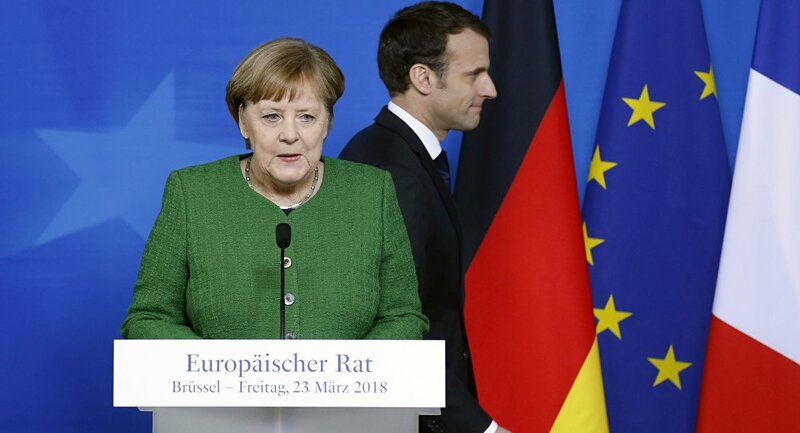 Several countries, including Germany and France, will soon make coordinated decisions," Macron said at a joint news conference with German Chancellor Angela Merkel in Brussels. EU leaders unanimously agreed on Thursday with the assessment of Great Britain that Russia is likely behind the nerve agent attack in Salisbury and vowed to provide full support to the UK in investigating the details of the attack and coordinating further actions.